New York City-based rapper/songwriter/producer Sammy Adams originally hails from Cambridge, MA, only a hop, skip and a jump away from where I live now. 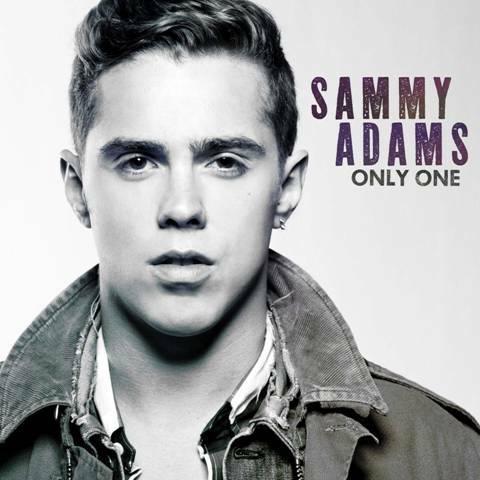 His new single, "Only One" is set for release tomorrow, May 8th and was written by Adams and produced by J.O.B. "Only One" features Adams' second single, "Summertime" as a B-Side. While an official video for "Only One" is due any day now, you should check out this FANTASTIC live performance of the song, which was shot at Adams' sold out Gramercy Theater concert back in March. From the sound of it, the new single is a bit of a new sound for Adams. While there's ample opportunity for the talented 24 year old to show us what he does best, "Only One" is definitely the kind of single Adams needs to crossover into the mainstream Top 40 market. It's really a perfect summer hip-tronica dance anthem that combines smooth hip hop stylings with a raging David Guetta-like (in a good way) dance beat. Think LMFAO or Far East Movement meets Mike Posner. This song is hot! Sammy Adams recently finished tracks for his forthcoming debut album, due out this summer on RCA Records. Earlier this year, Adams debuted the music video for his debut RCA single, "Blow Up" on VEVO and made his nationwide television debut, performing on Conan. You can catch him performing live on May 20th on the main stage at the Bamboozle Festival. While Adams might be known as a budding hip hop genius and wordsmith, I was pleasantly surprised to learn that he's also a classically trained pianist! While his interests would eventually take him into producing, singing and rapping, it only increases the amount of respect I have for him as an artist. Sammy Adams' official breakthrough single, "I Hate College," was a cheeky remix of Asher Roth's hit "I Love College," which Adams came up with while sitting in class at Trinity College in Hartford, Connecticut (where Adams majored in Poli Sci and served as captain of the soccer team) and recorded in his dorm room (a la Mike Posner). In March 2010, Adams independently released his debut album, Boston's Boy via 1st Round Records, and saw it shoot to the top of the iTunes Hip-Hop/Rap chart with nearly 8,000 digital copies sold that week, outpacing albums by hip hop mainstays Lil' Wayne and DJ Khaled. Following the release of his debut album, Sammy Adams has performed over 100 shows, and sold over 100,000 tickets across North America, including a set at last years Lollapalooza and a sold out headlining show at New York City's Terminal 5. Once again, I apologize for the bottom of my broken heart Sammy Adams. I dismissed you from the onset last time, without giving you a proper shot. Trust me, now I'm kicking myself. Download "Only One" starting tomorrow (iTunes US).